JD: Many suggest that Transparent Audio has the best pride of ownership of any audiophile product in the market place. What levels do you work on making your products special for consumers? KS: It's certainly our key objective to engender pride of ownership with Transparent products. I think pride of ownership happens when a product provides long-term value. The product must perform beyond expectations, must be beautifully crafted, and must have a solid company behind it that genuinely cares about the end user's long-term pleasure from using their products. Although our video cables are special too, I will focus on our audio cable line-up and secondarily Transparent Power Conditioners and Power Cords for this discussion because I assume that most AudiophileReview readers are most interested in sound quality. Transparent's primary design team consists of 2 musicians and music lovers with physics degrees -- Jack Sumner and Josh Clark. The design team and the listening panel, of which I am an important part, attend live unamplified music performances in great sounding acoustical spaces at every opportunity. Listening to live music is the most important reference at Transparent. For long-term listening and product development, Transparent also owns two state-of-the-art RPG designed listening studios. The studios are equipped with a wide range of the latest high performance audio components and a large catalog of master tapes of music performances the team has attended. Transparent's investment in listening to live music and building the studios and music reference library help us build performance and value into our products in ways that truly set us apart from most audiophile manufacturers. From entry level to the ultimate, each performance level in the Transparent audio cable line-up is designed to work together to help unify the performance of all the components of a system into a musical whole. Transparent's design model is based upon three primary musical criteria that we apply to every product at every performance level. This all-encompassing musical perspective is why Transparent brings the individual components in a system into more ideal harmony. In order of importance, the criteria are: correct tonal balance (relationship of fundamentals to harmonics), dynamic range (from the very quietest passage to the loudest with realistic transient response), and space (low level resolution of reflected sound from the original acoustic space). These terms are the best way we have found to describe what we hear in a high fidelity system in musical terms. The difference between performance levels in the Transparent line-up is a matter of the extent to which a specific product captures the full measure of each of the three criteria. Of course, one can never achieve the full measure of each criterion in a high fidelity system, but our goal is to come closer and closer to the ultimate OPUS MM level of performance, and then trickle the technology down throughout the rest of the product line. Each and every type of cable and length of cable in the world has built-in levels of inductance (L), capacitance (C), and resistance (R). Transparent network technology controls and adjusts these levels for each of our specific cable designs to be more ideal in terms of achieving the three musical criteria: tonal balance, dynamics, and space. There is a specially calibrated LCR network on all our audio cables to control the performance of each type and length of cable we offer in our line-up. In general terms, this means that every audio cable and length of audio cable has its own specification from $85 a pair (The Link Interconnect) up to $33,000 a pair (OPUS MM Speaker Cable), and every cable is hand made. 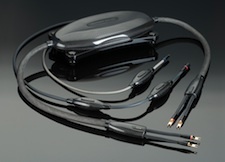 The more expensive cables are matched to specific output impedances of the listener's components. In more specific terms, the precise LCR measurements of the ultimate Transparent OPUS MM at any given point in its continual development toward the musical ideal serves as the basis for an expanded mathematical model of LCR network values for every length and performance level of audio cable in the line-up. The end result of all of this is that we have developed a range of products that provide predictable and measured levels of performance at graduated price points. We've removed the guesswork and resulting waste of money of trying to choose the best complement of cables for a system of components. Transparent Cables are also beautifully crafted, and most of them are upgradeable to higher performance levels while retaining much of the original value of the trade-in cables. The fact Transparent is always there to help our customers come closer to achieving the musical ideal in their home music systems provides long-term pleasure and value. In conclusion, I guess you'd have to say that every audio cable we make is special; hence, pride of ownership should be high. JD: How do you train and motivate your internal team to provide luxury for your end user clients? KS: Our company culture is based upon the fact that we all know that our products and customers are very special. This culture starts with insuring that our employees know that they are special because they are the chosen ones to accomplish our objectives. The three founding partners, Carl Smith, Jack Sumner, and I, have always had a unified perspective on employee empowerment and rewards. Our principal managers operate the same way. The key concept is that no one person can deliver the level of product quality and service that our customers need. There is no single superstar at Transparent. For our luxury brand and approach to flourish, everyone at Transparent must work together as a team from front line salespeople to the employees who prepare shipments. Each employee has areas of special expertise, but they all operate as if there is no hierarchy. Everyone is ready to assume whatever responsibility is required at any given point in time to make sure our products are manufactured up to our standards and that we deliver the kind of support and service that keeps our dealers, distributors, and consumers loyal to our brand. As you can imagine, our employees are all very intelligent and creative to operate efficiently in this type of environment. Once established in our culture, employees tend to stay. We have also purposely avoided growth for growth's sake, diluting our product mix, or changing our mission over the past 30 years. We knew that uncontrolled growth would force us to expand our staff to include the type of employees who look at their job solely as a way to make a wage. What we look for are employees who see their jobs also as a source of personal fulfillment -- a perspective critical to us for maintaining our brand identity. Hiring top-notch people who embrace our mission of quality at every level, inspiring them, and rewarding them appropriately means we can retain them. The result is our customers end up having a seamless luxury experience with our products and company. JD: With brands like Wisdom Audio opening dealers like Sound Components in Miami, Definitive Audio in Seattle, Stereo Exchange in Manhattan - what do you make of the audiophile in-wall speaker movement? KS: I really like what Wisdom Audio is doing. Their concept of really high performance in-wall and on-wall speakers is long overdue. Transparent has offered reference quality in-wall speaker cables for more than 10 years, so we have been waiting for more performance out of in-wall speakers for a long time. Thanks to Wisdom, people who can't or don't want to have speakers visible in a room now can achieve a level of sound performance they could only dream about in the past. JD: If an investor came to you seeking your advice as how to start a profitable audiophile business in a top 25 U.S. Market - what advice would you give them? KS: Having a profitable business and having a large business are probably mutually exclusive objectives in the audiophile business. Because of the limited nature of the market, I think the audiophile business is a good small to medium business opportunity that can be very rewarding. To reap the rewards, business owners need to be good stewards of their mission and all the people they depend upon to carry out that mission including staff, suppliers, and a good dealer network. Small to medium sized businesses do not have the financial resources for meteoric rises. It takes years, focus, and patience to build a specialty brand. Audiophile manufacturers need to put a considerable amount of time and investment into acquiring and developing really good dealers for the whole high-end audio experience to come together for the end user. A successful audiophile manufacturer needs to treat specialty audio retailers like they are valued partners and expect their dealers to be full participants in the partnership in return. JD: When skeptical audiophiles and or home theater enthusiasts tell you "All HDMI cables are the same," what do you tell them? KS: The fact that most typical HDMI cables won't pass an accurate signal in lengths more than 2 meters while more generously designed HDMI cables do work well at longer lengths should be proof enough that HDMI cables make a difference. If that is not enough evidence to be convincing, all you need to do is try a Transparent HDMI cable to know that superior conductors, dielectric insulation, cable construction, and termination make a significant difference in picture and sound quality. Transparent offers three performance levels of HDMI cables. All are high-speed HDMI and 3D video compliant. 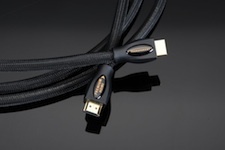 Performance HDMI cables start at $100 for one meter and High Performance HDMI starts at $250. Our ultimate Premium HDMI starts at $500. Performance and High Performance HDMI in lengths over 20 feet come equipped with an active network terminated into the cable and calibrated for length to compensate for cable attenuation and skew. JD: If you bought an Audi R8 would you chrome plate it? KS: Never! I'm just not into glitz. The form and function of this beautiful machine do not need to be enhanced. Are you making a backhanded comment about audiophile products that are all show and no go? Why do women stereotypically shy away from audiophile systems when they tend to love music? KS: I really don't want to offend audiophiles or anyone else, but some audiophile systems really don't sound much like music. The gear and creating a particular kind of sound tends to be an end unto itself in these systems, and consequently the natural musical balance of the system suffers. To non-audiophiles and music lovers, some of these systems actually create sound that is off-putting and irritating because the sound is not musically authentic. This is often of no significant consequence to the audiophile who is more interested in changing the way the system sounds with different equipment than in trying to come closer to a musical ideal. I have met audiophiles who actually are very serious when they proclaim that they like the sound of their system better than the sound of live music. They will focus on a certain type of music to play on the system they think sounds great and play those few pieces again and again, but the system is typically not musically satisfying with a broad range of music. Real musical sounds are all around us and the ability to recognize them and be moved by them is in our DNA. One doesn't have to be an audiophile to recognize when a system is musically authentic. I think it would be great if more audiophiles empowered their significant others who love music to get more involved in the system building process and encouraged them to speak up when the system veers from musical truth. It's not that audiophiles don't like music. It's just that some of them get so focused on hardware and creating a particular kind of sound that they lose their way. As a musician and music lover, it has been one of the most satisfying aspects of my career to be a key member of the Transparent listening panel. I usually weigh in on the sonic results of design changes near the end of the process. I've often been a welcome fresh set of ears in our never-ending quest to create products that help playback systems come closer to the music, and I'm not shy about weighing in on what I hear! JD: What would you tell an informed consumer about why he shouldn't buy all of his audiophile gear from Audiogon.com? KS: Audiogon has its place in our industry. It allows customers to sell older equipment so they can buy new equipment from dealers, and it gives other customers a chance to own a piece of pre-owned equipment that they might otherwise not be able to afford. A prime danger is, of course, that a customer purchasing a piece of pre-owned equipment through an unauthorized source will not get an adequate level of support from a dealer or the manufacturer if the component needs repair. Also, putting together a whole system of components purchased from Audiogon based upon what 12 different reviewers say about 12 different pieces of equipment will rarely result in a system that is musically satisfying. Audiophiles and music lovers need specialty dealers who have worked out all the intricacies of putting together and setting up great sounding systems, and they need dealers to help with their concerns and service issues after the purchase is complete. Most dealers have access to high quality pre-owned equipment if a customer wants to go that route. Dealers can provide aftermarket service and in some instances offer an extension of the warranty to their customers who purchase pre-owned components from them. Dealers are the most important link between the customer and high performance products, and high-end audio can't survive without them. You can't keep customers interested in a hobby by selling them out-of-date, broken down, bad sounding equipment with no warranty. JD: What audio-video icon do you miss most and why? Gayle Sanders (MartinLogan), Mark Levinson (Cello, Mark Levinson, Red Rose) or Sam Runco (Runco)? KS: I miss them all, of course, and there are others like Neil Sinclair from Theta that I'd add to the group who has moved on for the moment to other pursuits. I think there's a good chance that Gayle and Neil will reappear in some form, and Mark is still active in the industry with Daniel Hertz amplifiers and speakers. Of all those listed, Mark is the most iconic in my mind, and unfortunately I haven't had a face-to-face conversation with him for years. He was already a legend when I started in the audio business more than 30 years ago. He's an accomplished musician and recording engineer, and his vision of how to put together a high fidelity system that recreates music drove our industry forward for decades. One of my first and favorite systems was an HQD system that he designed. It consisted of Hartley subs and a pair of stacked QUADs with a Decca tweeter mounted between each stack. The HQDs created a heavenly, engaging sound. I remember joking with him about the system on a trip to Hong Kong to visit our mutual distributor Jadis Electronics. I said that I loved the system, but I didn't think it could hold up to the dynamic demands of home theater. He replied and smiled ironically: ". . . unless, of course, you watch only Ingmar Bergman movies . . ."
JD: Streaming audio and video from sources like CinemaNow, Netflix, Pandora and Rhapsody are all the rage these days but they are low resolution. Will they win out over HD sources like Blu-ray? KS: Streamed audio and video for the moment has to be low resolution because network servers can't handle the data load of higher resolution downloads at this point. If streaming at this level makes more music and movies more accessible to more people, I'm all for it. There will always be aficionados who demand more resolution. I just hope there are enough of them to keep HD sources like Blu-ray alive and that ultimately higher resolution streaming becomes available. JD: What luxury goods brand do you think is most like Transparent Audio and why - Gulfstream, Patek Philippe, Steinway, Hermes, Brioni or Rolls Royce? KS: That's a really tough question. One could draw similarities with any of them, but I think I will choose Brioni for a number of reasons. The suit completes the man, and for it to do its job exceedingly well, the suit has to be made out of the right material and be custom fitted to make the most of the man's positive physical attributes. Like a Brioni suit, Transparent's ultimate OPUS MM cables are custom fitted to the customer's system to make the most of its attributes. We fit the cable not only in terms of length but the way the connections fit on the specific components. The cable and its network are also finely calibrated to fit the impedance characteristics of its associated components much the same way that every type of fabric and interface in a well-designed suit is crafted to drape and fit the owner's body in the most flattering way. As a good suit doesn't actually change the essence of the man within, the cable shouldn't stand in the way of the essential character of the system, but instead should enhance it.